Volunteers at Peninsula Village enhance the quality of life for our residents. 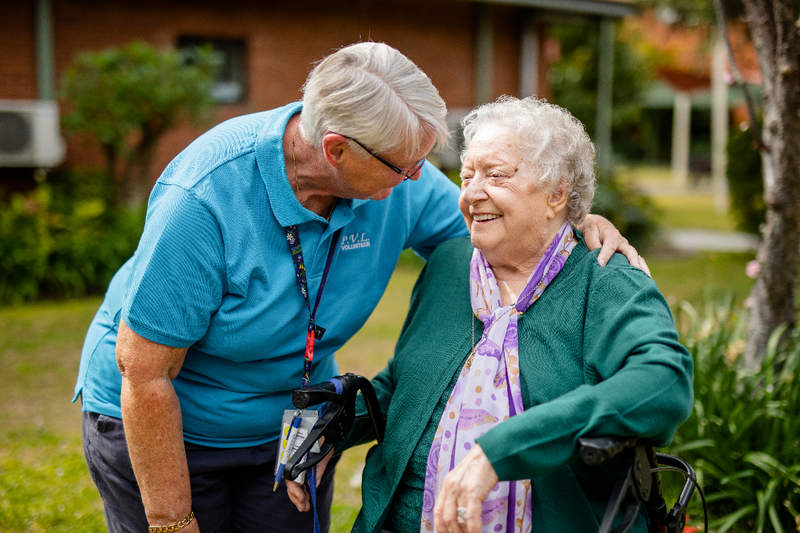 They provide a vital service to residents and staff.Volunteers are needed for a variety of services such as delivering resident mail, calling bingo, driving buses, delivering community meals, reading to residents, supported resident shopping and wheelchair walks. In return we offer you personal satisfaction, an opportunity to give back to the local community and a chance to become part of our residents’ lives. We welcome you to join our Village and see for yourself the benefits of giving back to our residents. We also encourage independent living residents to support our care residents via volunteering. For further information on volunteering with Peninsula Villages, please contact Paula on 02 4344 9199.